IFAD is deepening his regional engagement with ASEAN. Opening Program of the ASEAN Learning Route on Agricultural Cooperatives. Welcome remarks from ASWGAC, AF, AFA, LVC, PROCASUR, KU, CLT. Rural peoples are the main actors in development. The learning route provides space to showcase local innovations and learn directly from experiences on the ground. The context of the learning route was discussed - where agricultural cooperatives are critical both as a socio-economic movement and as an ideology for food security and agricultural develoment. 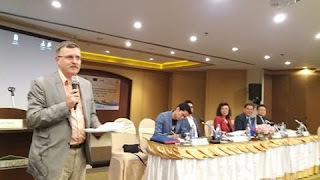 MTCP2 is a support program to Farmers Organisations in Asia Pacific covering 25 countries and supported by IFAD, Swiss Develo Cooperation and European Union. 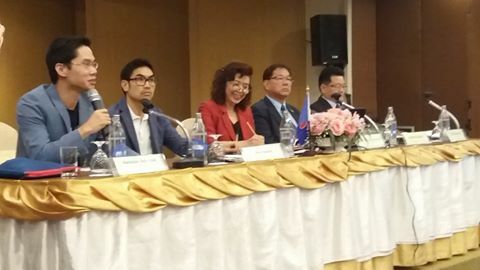 In Asean, Asean foundation, AFA and LA Via Campesina are leading the efforts of the national platforms. This learning route is co-organised with Procasur Asia. 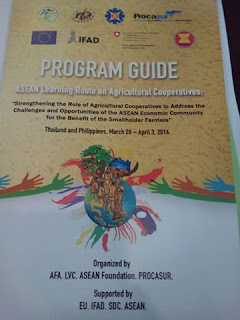 Successful first day of the ASEAN Learning Route on Agri Coops, joined by IFAD CPM Benoit Thierry Govt, coops, farmers, academe and private companies exchange experiences and lessons learned in developing, supporting and working with agri coops. The learning route now goes to Chantanaburi to visit Kitchakut Cooperative. One existing gap in agri coops in Thailand is that they merely collect and do not process products. The government is helping coops move up the value chain thru processing. Agri coops need to be knowledgeable about quality and standards from the production side. The marketing side is to process and link products for domestic and export markets. 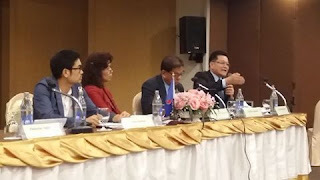 Dr Donsumran of Coop League of Thai: "We link different kinds coops & need to improve info about our members produce better." CPM Benoit Thierry: "IFAD is getting more involved in value chain for small farmers. The ASEAN learning route gives opportunity for ASEAN farmers and governments to cooperate. 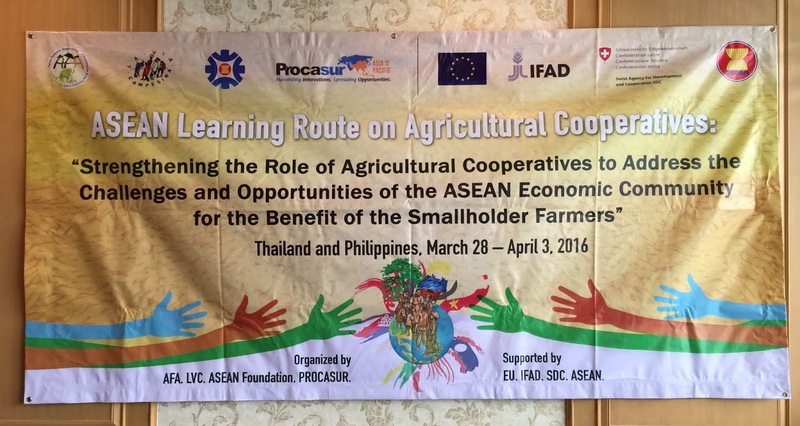 How can small farmers take the benefits from the ASEAN Economic Community? How to have more refined modalities to give preference to small farmers in market integration process?" Stay tuned! 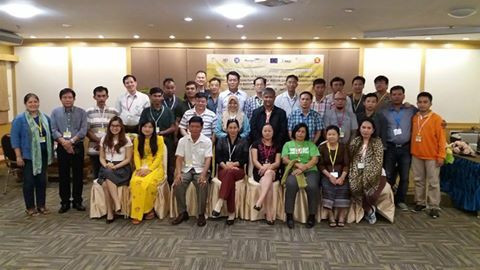 For the coming week, the learning route is now moving to south Thailand and soon after to Philippines to visit the cooperative movement.